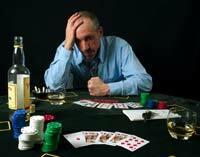 As excessive drinking affects both the body and the mind, alcohol withdrawal symptoms involve both, also. While detox from alcohol is difficult for any alcoholic, the range and severity of symptoms vary from person to person. This is partially due to each individual person’s body being unique, while also reflecting how serious the person’s alcohol dependency has become. For the person who is trying to detox from alcohol, even mild symptoms can be difficult to deal with. His mental and emotional state can be very erratic, ranging from depression to feeling on edge to unprovoked outbursts. The physical symptoms of withdrawal can include excessive perspiration, insomnia, heart palpitations, digestive difficulties, and bodily tremors, and other physical effects. At its most severe, withdrawal can result in hallucinations and convulsions. While severe symptoms logically make medical assistance necessary, alcoholics who are experiencing minor symptoms can benefit from it. First, as every individual’s body is different, there is no clear-cut way to determine in advance how severe his symptoms may be, or whether they may worsen. Second, as alcohol dependency reduces one’s coping skills, an alcoholic who is detoxing may not be able to deal with the symptoms on his own. Even mild symptoms can seem too difficult to handle for someone whose mind and body have already been impacted by consistent alcohol abuse. The best course of action is to consult with a physician before attempting to give up alcohol. Although quitting is a healthy step, it is also a big step. In the interest of making withdrawal as tolerable as possible, without unnecessary complications, a visit to your doctor should be your first step. He can help you prepare for the process, and increase your chances of success. You can look forward to a healthier life and future free of alcohol.